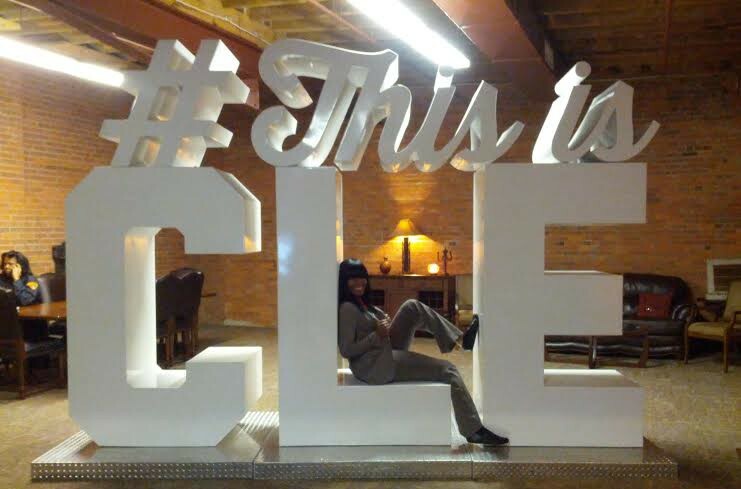 Calling All Cleveland area Single Moms!!! The ladies (including myself!) 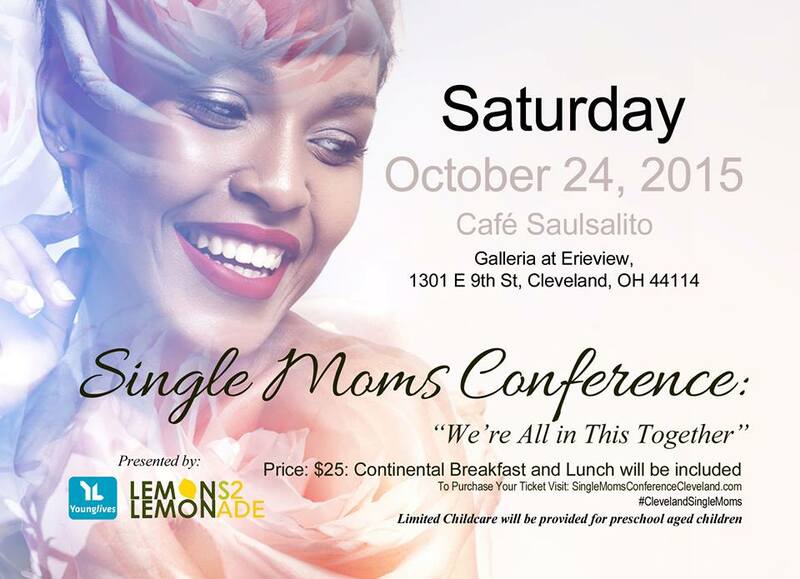 of Sigma Gamma Rho Sorority, Incorporated – Kappa Gamma Sigma (KGS) Chapter, have put together an opportunity for single moms to win a FREE registration for the upcoming Single Moms Conference taking place Saturday October 24th, at the Galleria at Erieview (Cafe Sausalito-1301 E. 9th Street, Cleveland OH 44114). KGS wants to hear from YOU for a chance to win one (1) of FIVE event registrations being donated by the sorority chapter! To enter, please email KGSCommunityService@gmail.com your name, email and phone number; and in 150 words or less please tell us why you want to attend and what you hope to take from the conference. Submissions are due by Sunday October 11th at 11:59PM. The chapter will then select five (5) winners to be notified Friday October 16th. One entry per household please. 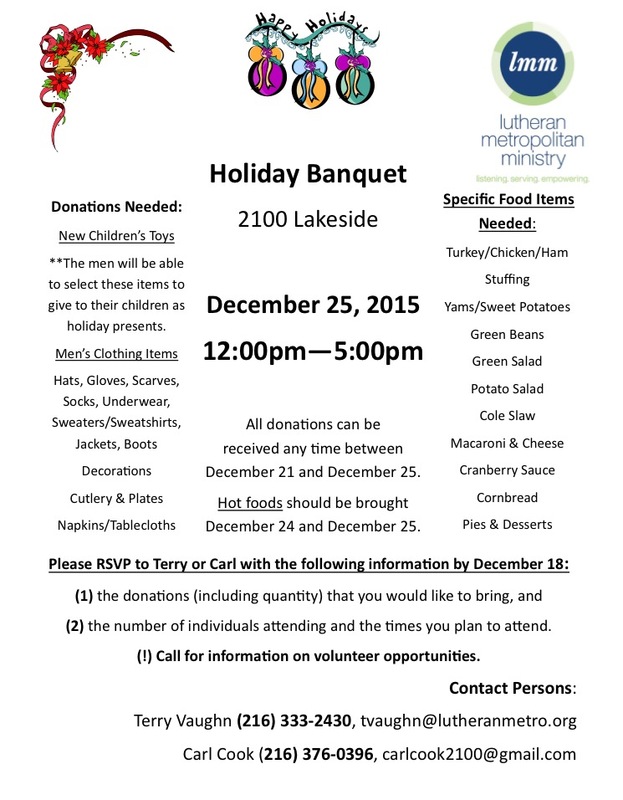 Please spread the word, and if you have any questions please email KGSCommunityService@gmail.com! 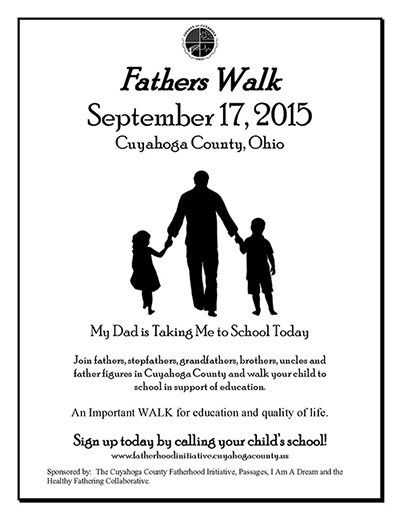 I wanted to give everyone a heads up on the upcoming Father’s Walk, in which fathers across the county take time to walk their children to school the morning of Thursday September 17th. This annual walk is sponsored by The Cuyahoga County Fatherhood Initiative, Passages, I Am A Dream and the Healthy Fathering Collaborative. A list of the schools currently participating (as of September 10th) can be found HERE. Many schools have additional activities for fathers that day. Feel free to contact you child’s school if you do not see it listed. I am responsible for the education of my child. I will speak to my child about the value of learning and the importance of reaching your potential. 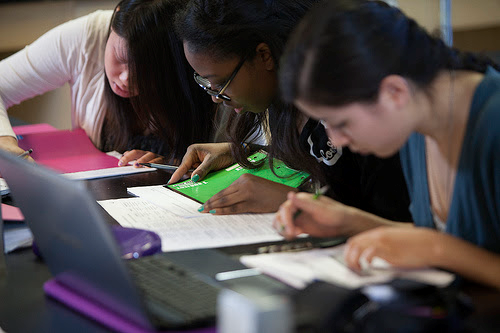 I will help with school work and review assignments for completion. I will praise my child when he/she does well in school. I will speak with my child’s teachers and support them in educating my child. I will teach my child the value of education and the value of family. Once again, I am participating in the National Alliance on Mental Illness (Greater Cleveland) NAMIWalks. I will be raising money that will go towards maintaining local programming for persons affected by mental illness. Here is my fundraising link. Last year I raised $120, more than I expected! Always appreciative by the support I receive, and I look forward to support again this year. The event takes place Saturday August 29th at Edgewater Park. I am asking for all of my friends and family (ESPECIALLY THE MALES) to come out and support an issue that is too visible in our communities but can be difficult to address. 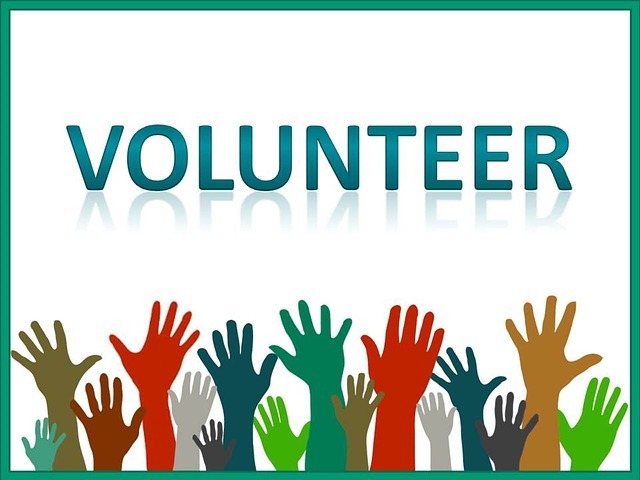 I decided to join the volunteer committee for DVCAC and help spread the word, and hopefully attract different audiences to the walk. If you need some help finding heels in your size please let me know! 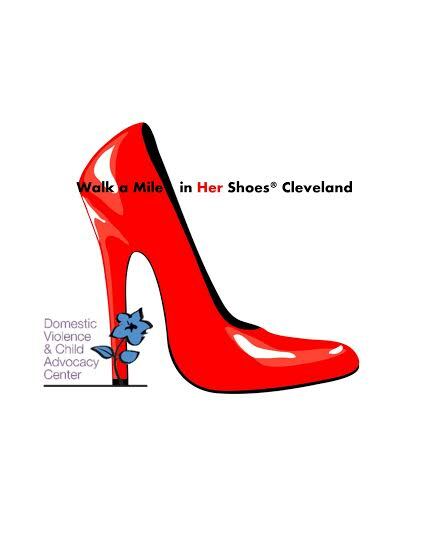 The Domestic Violence and Child Advocacy Center is now in the beginning stages of planning its 3rd annual Walk A Mile In Her Shoes, an event giving men the opportunity to help raise awareness about violence against women. The DVCAC will have a planning committee meeting on Wednesday July 29th at 8am, at their offices (2806 Payne Ave, Cleveland OH 44114). These volunteers will join in recruiting walkers, donations/sponsorships, planning process, etc. 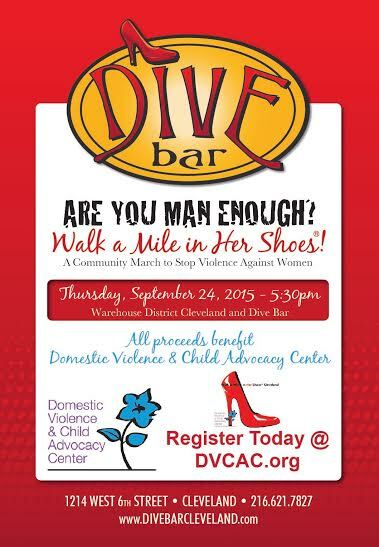 If you are available to attend that morning, please email Sara Otts directly at sotts@dvcac.org.